TNT, in its 30th consecutive year of NBA coverage, will televise more than 40 NBA Playoff games – the most of any network – including first and second round action and the exclusive presentation of the 2014 NBA Western Conference Finals. The network’s playoff coverage will tip off Sunday, April 20, with a tripleheader – Dallas Mavericks vs. San Antonio Spurs at 1 p.m. ET; Washington Wizards vs. Chicago Bulls at 7 p.m. and Portland Trail Blazers vs. Houston Rockets at 9:30 p.m.
TNT’s NBA Playoff coverage will feature the Sports Emmy Award-winning studio team of host Ernie Johnson alongside Basketball Hall of Famer Charles Barkley, four-time NBA Champion Shaquille O’Neal and two-time NBA Champion Kenny Smith providing pregame analysis, halftime updates and extensive postgame coverage on Inside the NBA. The network will feature the state-of-the-art technological enhancements during the playoffs including a super-slow-motion camera that will provide viewers with gripping replays at key moments of the games. Each first round telecast will utilize one super-slow-motion camera and then increase to two cameras per game during the second round. Reporters will include: David Aldridge, Lewis Johnson, Jaime Maggio, Rachel Nichols, Marty Snider, Molly Sullivan and Tracy Wolfson. 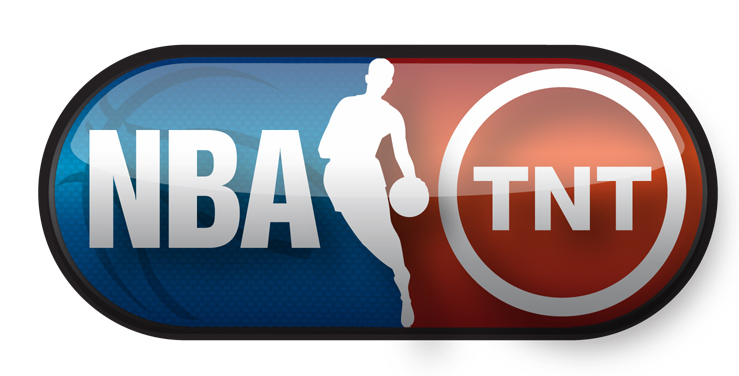 Additionally, TNT Overtime on NBA.com will provide a unique companion experience allowing fans to watch the games via four alternate camera angles, along with real-time stats, enhanced video replays, player and fan voting elements, and the ability to interact with fans via Twitter while watching the game.